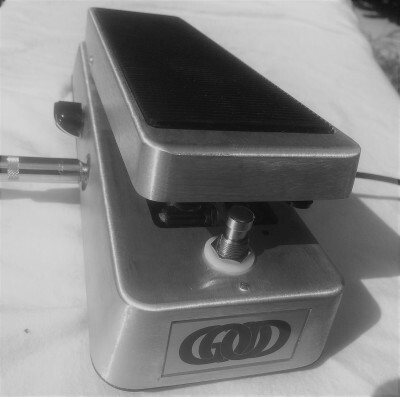 The GOOD wah is a vintage non buffered design & build that has been ‘juiced’ for as much intensity as possible while keeping a classic vocal vibe. The addition of an external intensity control and an external treadle tension adjuster enable the user to tailor both the sound and feel for their rig, signal path and tone. Each unit is hand built one at a time in the USA– wired point to point using discrete components , with FULL ground harness, full enclosure shielding and true bypass switching . Oh… did I mention it has a nice bright LED, can be used with battery or adaptor and sounds great! Options include an internal volume trimmer, a deep switch (its not what you think) , customer chosen inductor, dual inductors and multiple sweep ranges.